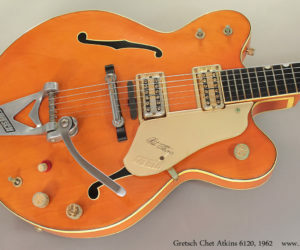 For 1962 the Gretsch Chet Atkins 6120 had a dramatic makeover. In particular, the new, thinner and double cutaway, sealed top ‘Electrotone’ body replaced the classic fully hollow single-cutaway. 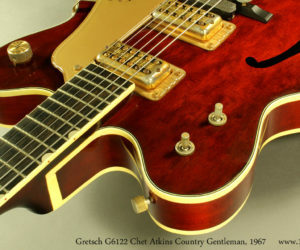 In addition to being a great player, Chet Atkins came up with many great ideas to push the guitar forward. 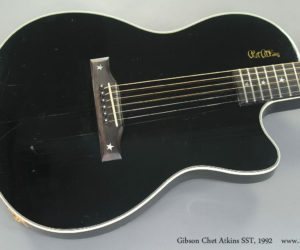 During his association with Gibson, two novel instruments appeared: the Gibson Chet Akins CE Classical Electric, and the Gibson Chet Atkins SST solidbody acoustic. 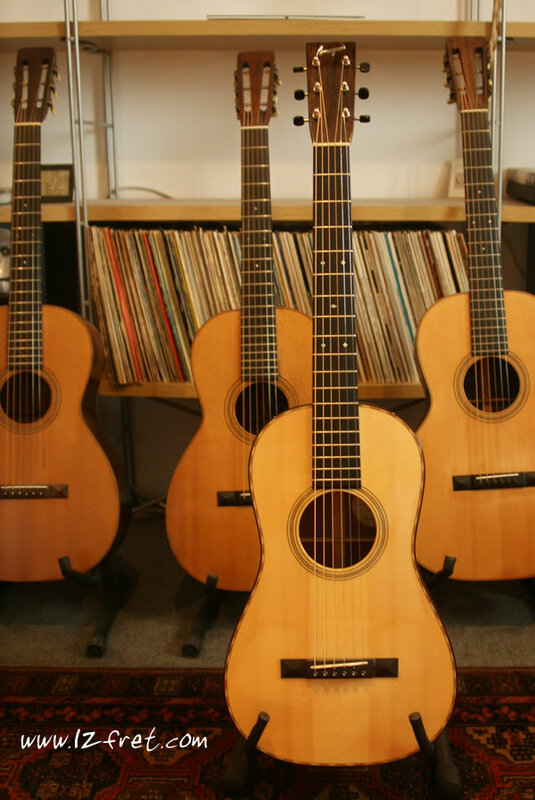 We don’t see these very often, but here’s a fine example of a very influential guitar – a 1990 Gibson Chet Atkins CE Solidbody Classical. The late, great and greatly lamented Chet Atkins was responsible for not only great music, but a number of musical innovations. 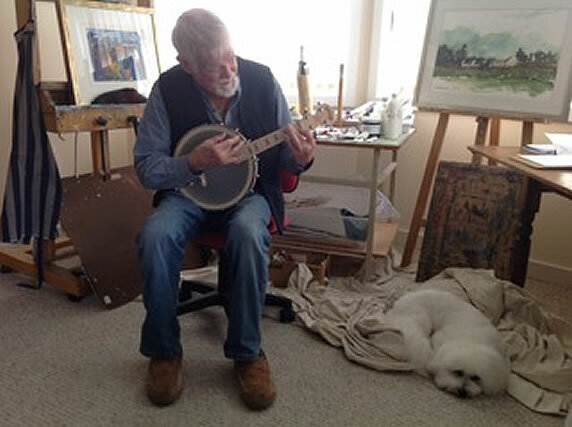 Given his many performances over decades, under a very wide range of conditions, it’s not surprising that he often sought out ways to control or prevent feedback at stage volumes. 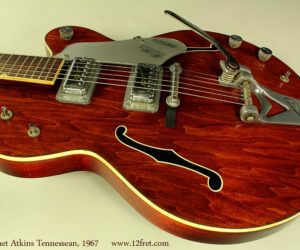 The Gretsch Chet Atkins Tennessean, model 6119, was built from 1958 to 1980 as a lower-cost alternative to the Country Gentleman. 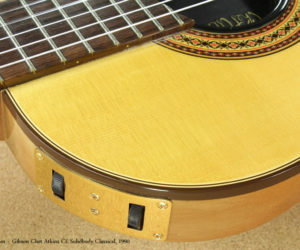 and while it has always been a single cutaway guitar, in 1961 it thinned down about half an inch to its present profile.